Lettertec Ireland Ltd. have been nominated in the digital print category for the book Rhymes for Remedies which they printed in summer 2013. The Irish Print Awards recognises the best of the country’s print sector and are regarded as the leading independent awards event for the Irish print industry. The book was casebound, using the company’s unique binding methods and printed on high quality paper, ensuring that the illustrations are bright and attractive. To make the book stand out more and to match the colours in the book, red end sheets were used which has received plenty of attention from readers. Lettertec Ireland Ltd is one of Ireland’s leading design and print specialists. The company was set up in 1983, based in Carrigtohill, Co. Cork and now employs over 20 people. In recent years it has expanded into the printing and binding of books for self-published authors and small to medium sized book publishers. 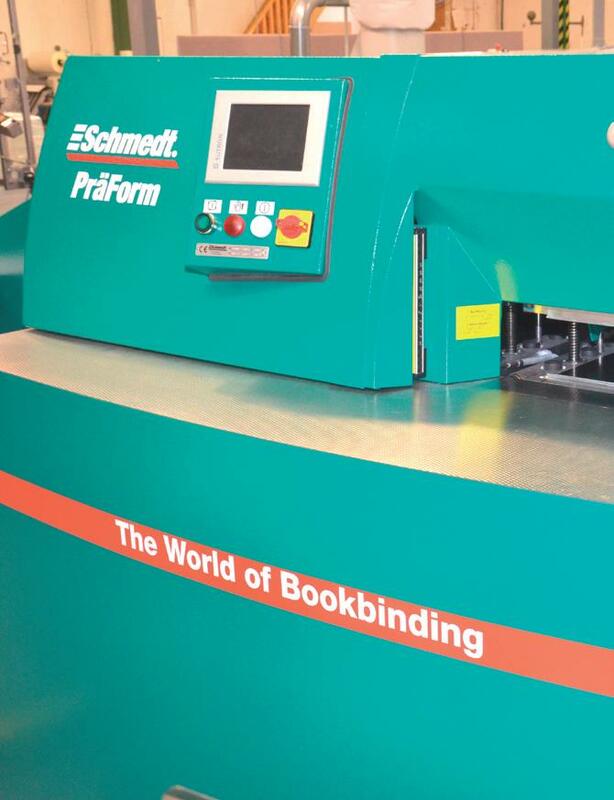 We are the market leader in self-publishing in Ireland. 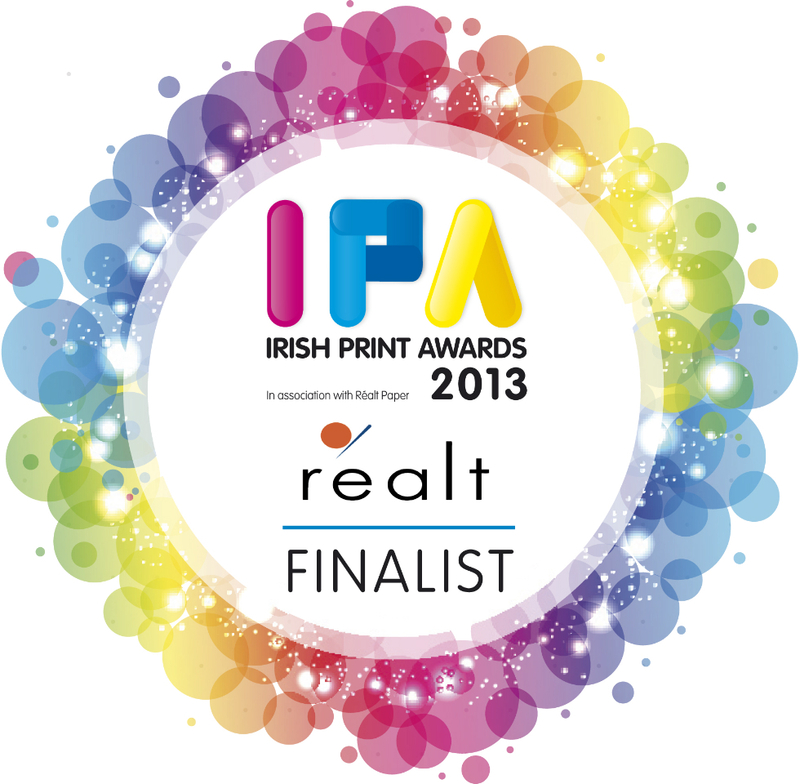 The 36th annual Irish Print Awards will take place on Friday the 29th of November in the Crowne Plaza Dublin – Northwood. How I learn by Helen Bullock. How I learn is a collection that was put together by Cork woman/Limerick resident teacher, Helen Bullock. The cover is illustrated by Thurles woman, Rachael Cooke. We learn something new everyday, or so the saying goes, but this new collection of personal stories proves that old adage to be true. A broad range of people inside and outside of Ireland have come together to explain what they learn and how they do it, and how we can learn from their experiences. 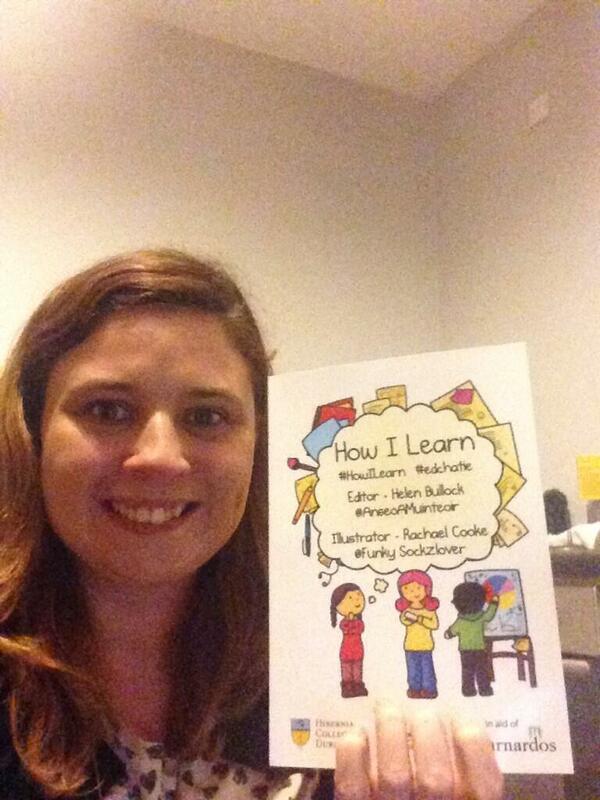 #HowIlearn is a crowd sourced book featuring work from teachers, pupils and life long learners. #HowIlearn looks at different learning styles and personal experiences. Contributors include Rick O’Shea from 2fm, Catherine Cronin, lecturer in NUIG, Pam O’Brien and Bernard Goldbach lecturers in LIT Thurles and regular users of ICT and technology in learning and many more. Proceeds from How I learn will be donated to Barnardos, a charity which all contributors felt would benefit hugely from this project. Barnardos helps and supports children and families who are most at risk. Barnardos focuses on the increased emotional well-being of the child and family as well as improving learning and development. How I learn felt that Bernardos was the ideal fit and are delighted to be able to support them in all the work that they do. “We all learn differently and the work Helen Bullock has done in How I learn brings that to the forefront of education, How I learn is a vital reminder to educators, parents and learners alike, to find their unique learning style and embrace it.” Ciaran Cannot TD, Minister of State, Department of Education and Skills. “How I learn is one of those brilliant and passionately put together ideas that should be recommended to everyone” Rick O’Shea, presenter 2fm. “I think How I learn is a great initiative – showing that, with regard to education, one size does not fit all.” Hazel Larkin, Dublin, Mother of two. “Teachers can forget their students might learn differently to themselves. This book is a collection of the varied learning styles that might surface in a classroom, and which need to be met.” Caroline Carswell of Irish Deaf Kids. Selfpublishbooks.ie will be rolling out some new services for our authors over the next few weeks and months. We hope that it will make the self publishing as easy as possible for writers and organisations. The first new service we would like to announce is a free one, yes free. From now on, whenever you order your books, we will give you free bookmarks. This can be given to your customers at book launches or at other similar events. The bookmark has two sides to it. At the front there will be a smaller version of your book cover all in colour. At the back are our contact details, also in colour. A simple little gift that we want to give our clients that we hope you will all like. We will also give you the bookmarks if you are coming back to us after selling your books and want a reprint. 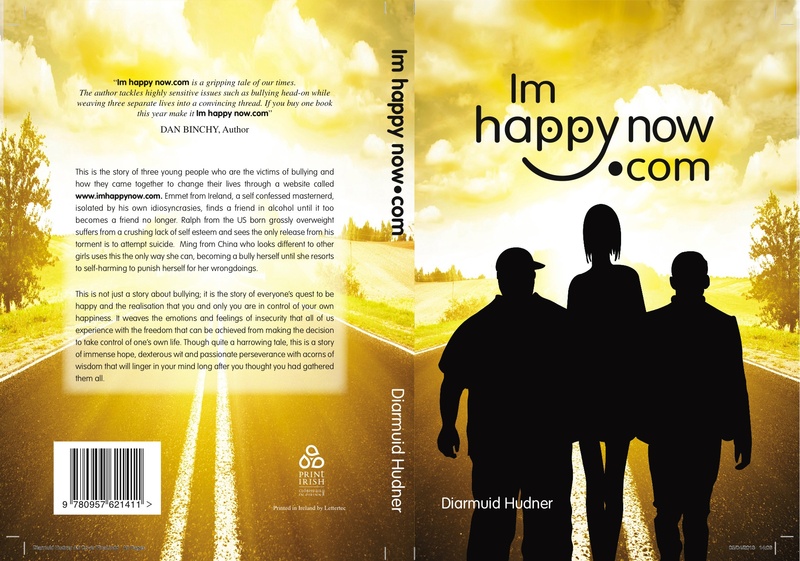 We at selfpublishbooks.ie, hope you like them. Patrick Stack started writing at 12 after hearing a piece of verse on the black and white TV. Now he has written a full collection of poetry with Selfpublishbooks.ie - this week we asked him to share his experience. A poet has to take direction from other authors — we asked Patrick who he named as his idols. “That’s a difficult one! My favourite poets during my formative period at Trinity were William Blake, Arthur Rimbaud, Gerard de Nerval, Guillaume Appolinaire, and Paul Eluard. “Later on I developed a love for the Argentinian writer and poet, Jorge Luís Borges – I especially liked his short poems, but didn’t much like his longer more descriptive stuff. How long was The Parting in the works? How did it begin? “The Parting has been in the works for a long time. I have wanted to publish my own collection since I was an undergraduate in Trinity in the late 1970s, but back then there was no such thing as self-publishing (unless you count vanity publishing which was costly) and getting a poem published – never mind a collection – was a daunting prospect. “Over the years I’ve produced several collections which, thankfully, never saw the light of day. The Parting is a compilation of the best poems that have survived from these, as well as my most recent work. The early surviving poems have undergone varying degrees of paring, pruning and gutting. One, ‘Tricolour’, has grown from a fragment (6 lines) written in 1989 shortly after I emigrated to Spain, to its final 57-line version completed in 2008 well after I had returned to Ireland. Patrick is on the committee for the Three-Legged Stool Poets – we asked him how he got involved. “The committee that runs the the Three-Legged Stool Poets has just decided to rename it 3-Legged Stool Poets, so I’ll refer to it as that from now on. It was started back in the early 2000s and came out of another group called ‘The Poetry Collective’ which was the brainchild of Arthur Watson. Arthur is still actively involved. “Soon after I emigrated to Spain I stopped writing, and did not start again until early 2007 – a period of 16 years in the wilderness as it were! As I had not been writing or even reading poetry in all that time, I was unaware of the existence of any poetry groups in the Munster area. In 2007, I gave my first reading in 20 years in the Georgian House, Limerick as part of the Mozart and Wine fundraising night run by Summer Music on the Shannon. Although I was terrified, the reading proved to be a huge success. Barney Sheehan of the Whitehouse Poetry Revival was in the audience, and asked me to come and read at the Whitehouse, which I subsequently did. During that reading I happened to mention that I had been trying unsuccessfully to make contact with the 3-Legged Stool Poets, which I had been told about by somebody in Ennis. Unbeknownst to me, Brian Mooney happened to be there that night and came up and introduced himself. That’s how I came to join the group. Every poet has a favourite poem. We asked Patrick which poem he enjoyed writing most in The Parting and why? “The first one that comes to mind is ‘Dog Burial’, followed closely by ‘Epithalamion.’ ‘Dog Burial’ has been around a long time, the first version dating back to 1979. It was written in memory of a greyhound, Millie, who was my mother’s favourite of all the greyhounds we kept, hence the dedication. Many re-writings later, it has achieved that terseness and minimalism which best expresses the grief of losing Millie and having to bury her in the orchard. Once a book is finished, the next step is to get it between two covers. But what caught Patrick’s interest in self-publishing? “Getting a collection published by a ‘reputable’ publisher in Ireland is very difficult. And even if your work is accepted by one, the waiting time can be counted in years. An added complication for me is that my poetry is not mainstream and, I suspect, does not tick the necessary boxes to satisfy the status quo’s ideas of what constitutes acceptable poetry. 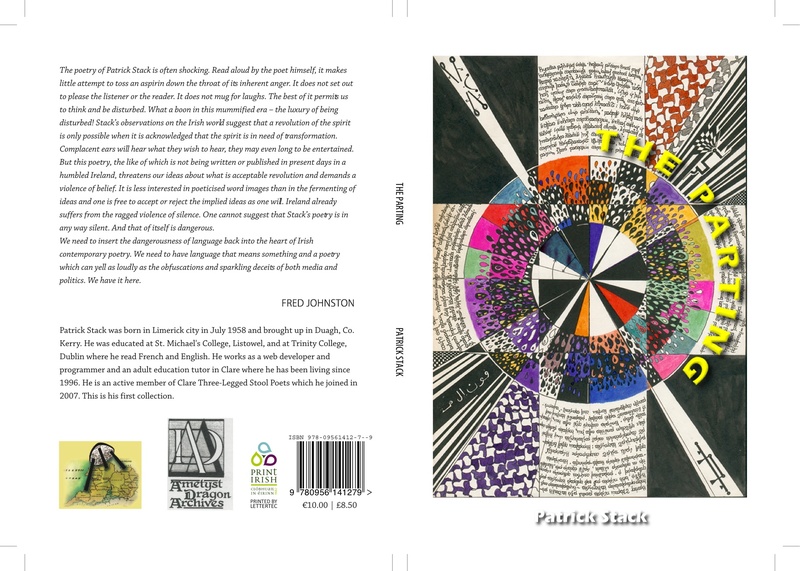 “The process of putting the book together was daunting, and proved to be a lot of work once I started,” Patrick says, “I used my web developer skills to help select from the 113 poems I have in an online database I set up for the purpose, and to put them in order. I adapted a jQuery re-order plugin which I attached to the database to help in getting them into the right order. This took about three weeks to do. I then used an open source Page layout program – Scribus – to put the collection together. This took about 2 months. 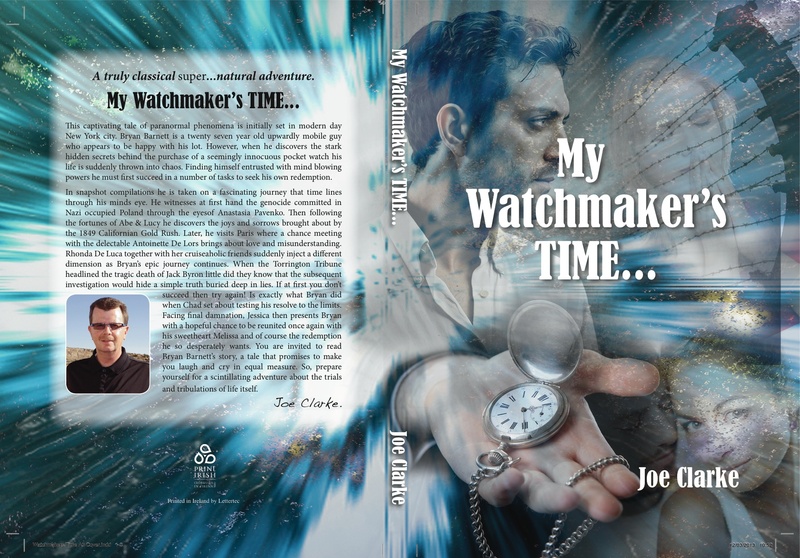 “The least daunting, most efficient part was the production of the finished book. All I had to do was deliver the pdfs to selfpublishbooks.ie and they did the rest. I was amazed to get delivery of the book a week ahead of schedule. That is great service! So what’s next for Patrick? “As an active member of 3-Legged Stool Poets, I’m excited at our upcoming initiative to plunge into performance poetry for our Winter season which kicks off in October 2013.